Thirty Two players from throughout the South West and as far afield as Derbyshire and Brighton & Hove travelled to the South West Open Snooker Academy, Gloucester. They journeyed to compete in the inaugural West of England Billiards & Snooker Foundation (WEBSF), West of England Open Snooker Championship. The outcome of a snooker packed weekend was an all Plymouth final that ended with Tom Kevern taking the top prize by narrowly beating fellow Plymothian Wayne Branton. Both players proved to be the most consistent after two days of tough competition. A total of 344 frames of snooker where played under professional standard conditions. Along with the title was £1000 prize money up for grabs that came from 100% of the entry fees plus sponsorship from the WEBSF. The tournament started with four groups of eight players vying for sixteen qualifying spots for the main knock-out stage with the remaining players qualifying for the Plate. Wayne Branton topped Group A undefeated, wining all of his matches and posting a succession of modest 40 plus breaks. Hassan Vaizie from Gloucester came a close second with six wins helped by a 73 break. Mark Legassick (Plymouth) rolled back the years to qualify in third place, posting a 57 break and the young Bristol prodigy, Thomas Lancastle finished fourth in the group to complete the Group A qualifiers. One of the pre-tournament favourites, Terry Challenger from Bristol was also dominant, topping group B with a full house of wins. This left youngster Kieran Dwyer (Gloucester), Tom Kevern, and Mitch Wood (Barnstaple) to complete the qualifiers from group B. Wood posted breaks of 40 & 76 and Martin Budge from Guernsey failed to qualify for the main tournament knock-out despite posting a 70 break. Group C was won by one of the regions’ top young prospects, Haydon Pinhey from Plymouth. Pinhey consistently made 40 plus breaks on his way to six wins. Dale Branton, also from Plymouth was edged into second place on frame count-back. Dean Anderson (Tavistock) also showed the youngsters that experience can be telling, as he secured third place ahead of Herefordshire’s rising star Ben Fortey in fourth. Group D was peppered with quality players, all of whom were capable of qualifying for the main event. Callum Lloyd from Newport consummately crafted his way to an undefeated run to top the group. Lloyd was closely followed by Kurtis Weaver (Bristol) who edged Paul Norris into third place on frame count-back. Norris was competing having made an early start from Brighton & Hove. Dan Legassick joined his father Mark to qualify in fourth place. Lloyd posted breaks of 50 & 74, Dan Legassick a 60 clearance but the best break of the tournament was made by Mitchell Grinsted (92). This remained unsurpassed and took the £50 break prize. The main knockout event, last sixteen, saw Wayne Branton beat Ben Fortey, despite a 74 break by the latter; Hassan Vaizie beat Dean Anderson; Dale Branton beat Mark Legassick: Haydon Pinhey (46 break) edged out Thomas Lancastle. There were also narrow but significant wins for Dan Legassick over Terry Challenger and for Kieran Dwyer against Paul Norris, Dwyer’s win was aided by a 77 break. Callum Lloyd beat Mitch Wood and Tom Kevern completed the quarter final line-up with a notable win over Kurtis Weaver. The quarters resulted in wins for Wayne Branton over Vaisie; Pinhey over Dale Branton; Dan Legassick over Dwyer; and Kevern over Lloyd. Wayne Branton toughed it out to beat Pinhey in the first of the semi-finals whilst Tom Kevern ended Dan Legassick’s fine run setting up the all Plymouth final. While the main tournament was in progress the Plate last sixteen saw the best of the rest do battle for a share of the spoils. In the last sixteen Jake Frank (Barnstaple) beat Keith Sulliven (Stroud); Glen Le Prevost (Guernsey) beat Reece Watters (Tavistock); Chris Stevenson beat Steve Tippett, both from Yeovil; Matt Lancaster beat fellow Bristolian Steve Weaver; Greg Midwinter (Gloucester) beat Harry Farrell (Derbyshire); Martin Budge (Guernsey) beat Luke Stilwell (Bristol); Johnny Watters beat Bradley Anderson, both from Tavistock and Mitchell Grinsted (Plymouth) beat Aaron Cook (Gloucester). After some close matches in the quarters and semi’s Mitchell Grinsted and Matt Lancaster came through to contend the final, the latter wining to prevent a Plymouth clean sweep. Nick Harry from Plymouth once again tirelessly undertook refereeing duties throughout the second day. WEBSF team spokesperson said, “The South West Snooker Academy here at Gloucester is a great venue for snooker tournaments. The WEBSF team work hard to ensure that our events provide a highly competitive, safe and friendly environment that gives great value to the players. With each of the 32 players playing between 16 and 30 frames of snooker; a chance of winning a top prize of £400 out of the 1000 prize money on offer and the opportunity of playing on professional standard tables for just £25 entry we believe, with the help of the Academy, we have achieved this. We have received positive feedback throughout the weekend and we are considering making this an annual event in our calendar. The all-round high standard of players along with the short best-of-three frame match format, no one player was identified as a clear favourite. Winner Tom Kevern proved that consistency, plus the odd bit of good fortune, is a most valuable asset to have in matchplay snooker. 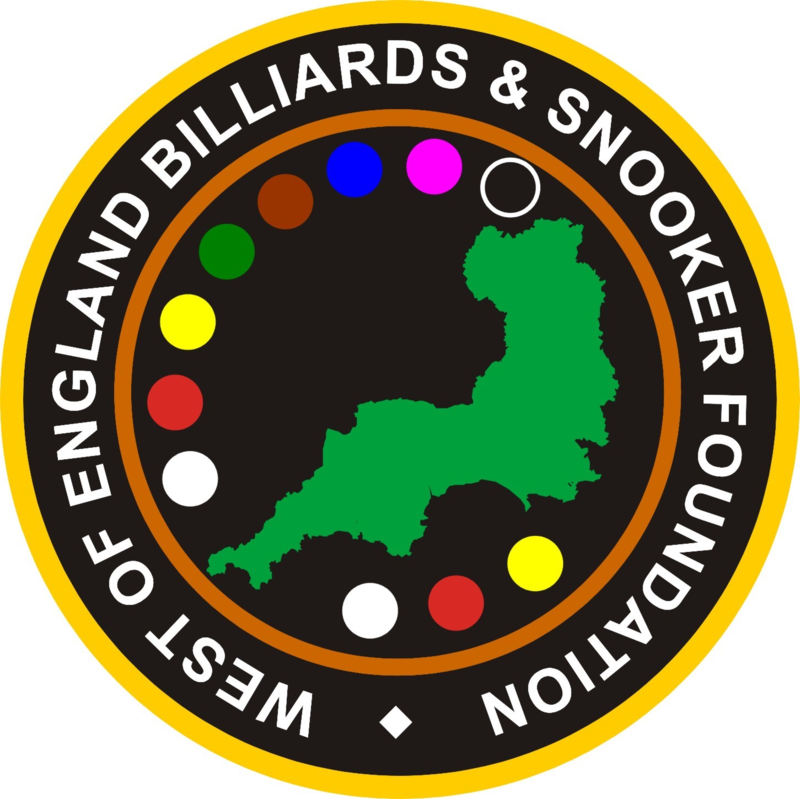 Well done to everyone, we hope to be back next year” Details of this and other WEBSF tournaments can be found on http://www.websfsnooker.com, WEBSF Facebook or by contacting Wayne Branton mobile: 07980788484 or Steve Canniford, Mobile: 07891940995. This event was sponsored by West of England Billiards & Snooker Foundation and the South West Snooker Academy, Gloucester.